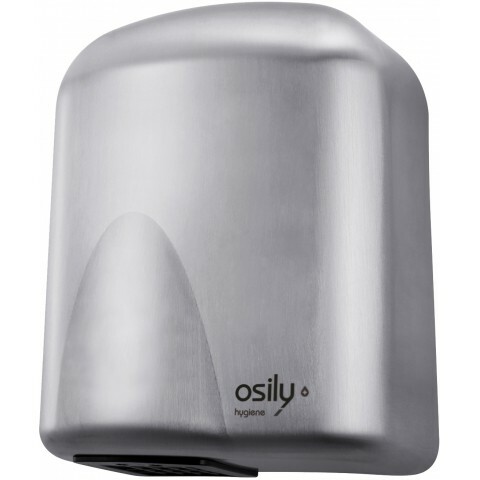 Our range of hygienic hand dryers for schools includes something for every budget. All schools are pre-approved for trade accounts, meaning you can get the very best prices on every electric hand dryer you see here and make your budget go a little bit further. What Do You Need in a School Hand Dryer? Electric hand dryers are essential in school washrooms. They dry hands quickly and efficiently and don’t produce any waste. If your caretakers are forever cleaning wet paper towels from your toilets, or if you have old, wheezy hand dryers that can’t keep up with demand, it’s time to upgrade to some modern electric hand dryers! At a time when school budgets are being squeezed tighter than ever before, your number one concern should be choosing something that’s affordable. Our range includes something for every budget, and we’re proud to offer the lowest prices across all the very best hand dryers for schools. For larger orders, you can apply for a free trade account with us; all public sector accounts are pre-approved so you’re guaranteed to have access to the best prices around. It’s an unfortunate fact of school life that you’ll need your hand dryers to be very tough. Not only will they be used heavily throughout the week, but they’ll also have to fend off the occasional vandal! This means you should ensure that the model you choose is tough enough to cope with the rough-and-tumble of school life. Most of the dryers you’ll find on this page are made with stainless steel, aluminium, or reinforced plastic. This ensures they’re vandal-resistant and durable enough to cope with a constant stream of users. As you almost certainly know already, it’s near-impossible to prevent vandalism in school washrooms, especially in secondary schools. However, there are a few things you can do to discourage it, and these things start with making sure your washroom is properly kitted out. This will hopefully reduce the amount of damage done in your toilets, keeping them cleaner and safer for everyone. Kids of all ages get bored quickly. Most damage in school washrooms – whether deliberate or accidental – occurs when students get bored and look for something to do. This means you really want them to be in and out of the washroom as quickly as possible – the longer they’re left hanging around, the more time they’ll have to get into trouble! Ensure you have as many sinks and hand dryers as you can fit into your washroom to reduce queuing. If your school washrooms look nice, then most students will be less inclined to mess them up. It does still happen, of course, but keeping your facilities age-appropriate should make these occurrences much rarer and more manageable. Secondary school toilets should look sleek and professional, while primary school bathrooms should be more colourful and friendly. While it does happen on occasion, most vandalism isn’t premeditated with the intention to cause damage. It usually comes from boredom or frustration. If a child tries to put a dent in your hand dryer or draw on your toilet wall, they’ll usually give up if it proves difficult. In primary schools, most damage tends to be purely accidental; it’s often the result of a tantrum or a curious child who doesn’t understand boundaries. That’s why ensuring everything in your washroom is tough enough is incredibly important. Those less-common instances of premeditated vandalism will probably still happen, but they will be much easier to manage and deal with. Some kids will find any excuse to be late to class. You can give them one less excuse to fall back on by ensuring your hand dryers get the job done quickly and efficiently! The difference between a 10-second hand dryer and a 30-second model might not sound like a lot, but it can have a bigger impact than you’d think. At busy breaktimes, slow hand dryers can lead to big queues forming. This can have a knock-on effect that can impact on attendances. When shopping around, make sure to check the drying time of any model that you’re interested in. It might seem like a small detail, but it will reduce lateness! For primary schools and autism-friendly washrooms, noise should also be a big concern. Loud noises can be overwhelming for young children with sensory issues, so it’s something to be aware of if your school has a few SEN students. There is no such thing as a completely silent hand dryer, but some are relatively quiet. If noise is a concern for you, look out for models with the Quiet Mark. This is an international certification that can be awarded to any appliance. To earn the Quiet Mark, a product needs to be as quiet as it possibly can be without compromising performance. For hand dryers, the Quiet Mark means that the dryer in question runs quietly but can still dry hands quickly and comfortably. One of the reasons hand dryers can be so overwhelming to an autistic child isn’t just the noise, it’s the way they feel, too. The sudden feeling of hot air against skin along with a loud noise can cause sensory overload in some children, so, depending on your SEN cohort, you might want to look at hand dryers with a cold air setting, too. Cold air settings allow you to turn off the heating element inside the dryer. This does mean it’ll take a little longer to dry hands, but it has a few key benefits. Firstly, it can be more comfortable for any child who might not like the feeling of hot air on their skin. Secondly, it’ll dramatically reduce the amount of energy the unit uses, which can have a big impact on running costs. As you probably know, kids always seem to be full of germs. This means illnesses can spread like wildfire through school, leading to staff and students calling in sick. To reduce this, you’ll want to make sure that everything is kept as hygienic as possible – especially the washrooms! A set of hygienic hand dryers can play a massive part in this, and there are several important features to look out for which can prevent the spread of bacteria. The most common hygienic feature is automatic operation. This means nobody has to touch the unit, so if a child’s hands are covered in germs, they won’t transfer them all over the dryer! Other hygienic features include HEPA filters, which filter out bacteria from the unit’s airflow. This ensures that the airflow will always be clean, pure, and hygienic at all times! 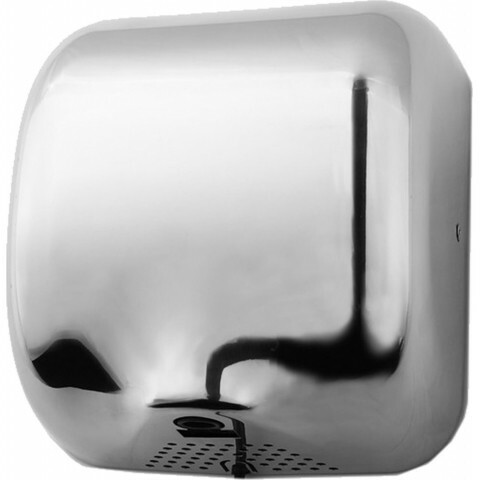 Some hand dryers – such as the Dyson Airblade - go one step further when it comes to hygiene. It’s possible to find units that are made entirely from anti-bacterial plastic or steel, which kills any bacteria that come into contact with it. This ensures they’re kept completely free of harmful germs, making cleaning and maintenance much easier. Overall: Which is the Best Hand Dryer for Schools? Unfortunately, there is no such thing as a perfect hand dryer that completely ticks every box. For example, very fast models will invariably be louder and more expensive to run. This means you need to think carefully about your school’s needs and which features are more important to you; then you can start narrowing down your search based on which hand dryers have the best balance of features you’re looking for. You can use the attribute bar above to filter by noise level, finish, brand, or any other feature you like. Just click on a unit to see a full spec and list of features, which will help you in your search. If you’d like more personal advice, just get in touch – we’re happy to help you narrow down our massive range of hand dryers. You can give us a call on 0800 091 3171 or use the live chat button at the bottom of your screen to speak to our UK-based customer service experts.